You will be checked on your progress at the beginning of class the day each section is due. If you are not done you will get a detention and get 2 pts off for each deadline missed. Go to www.factmonster.com and type in your branch you are studying in the search box. Answer the questions that you can. 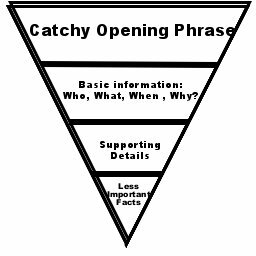 Caution: Paraphrase the information you learn. Do Not Copy! If you copy you get a “0” on this assignment! Make sue you cite your sources on My Sources page. What is the name of a scientist you are going to research from this branch? (Use your research above or look in the “famous scientists” packet for more ideas (not available online). Make sure you spell it right! 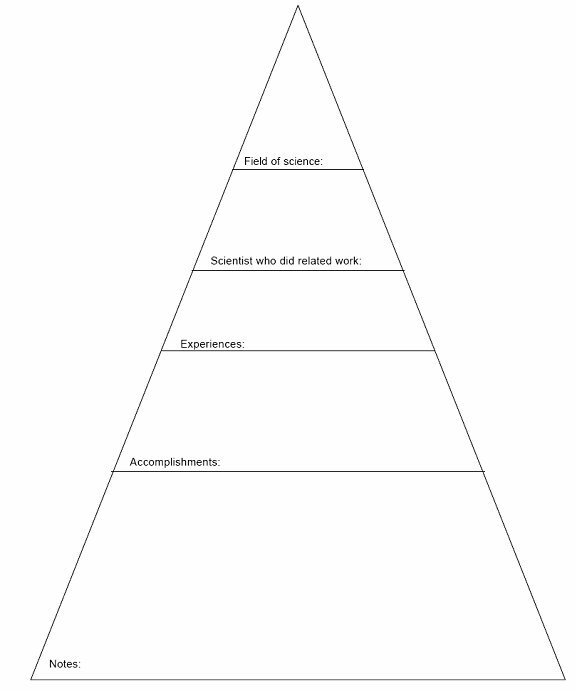 Complete the Triangle below about the scientist you picked in Part 1. Use the web sites liked from http://washington.spps.org, science, famous scientists. Click on the list you found you scientist on. Write a newspaper article about your branch of science and your scientist. Use the Reporters Triangle to organize your thoughts. Directions: Click on “CITE” and write down the information you need. If you use a source that does not have this link write down the name of the web site and its URL (web site address).